Who’s Running in Your County? Get Your County’s Sample Ballot! 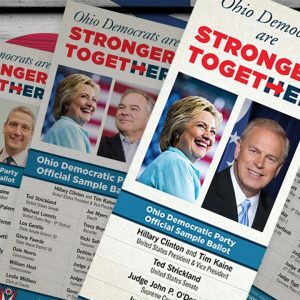 If the last 10 years in Ohio tell us anything, it’s that Democrats win when we show up. It’s critical that we stand together NOW and vote for Democrats up and down the ballot. KNOW your judicial candidates and VOTE for ALL Democrats!